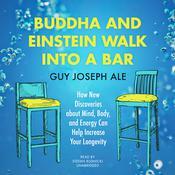 Buddha and Einstein Walk into a Bar explores the revolutionary idea that sensing how long we can live is a latent capacity in us, currently unknown—just like the introduction of fire, the invention of flying, and the discovery of radio waves were before we “discovered” them. Understand how the knowledge of transcendence, consciousness, and self-healing are integral to your well-being. You could drive a car without a fuel gauge, but knowing how much gas you have clearly gives you more control of your vehicle. Using the latest breakthroughs in cosmology, neuroplasticity, superstring theory, and epigenetics, Buddha and Einstein Walk into a Bar helps you to master your entire system of mind, body, and energy and provides practical tools to help you live your longest and healthiest life. In this book, you will learnexercises—align the different systems of the body;mindfulness and meditation—relieve daily stress;good nutrition―simple rules sustainable for a lifetime;proper rest―for mental and physical peak performance; andactive lifestyle―stay vibrant through your entire life. 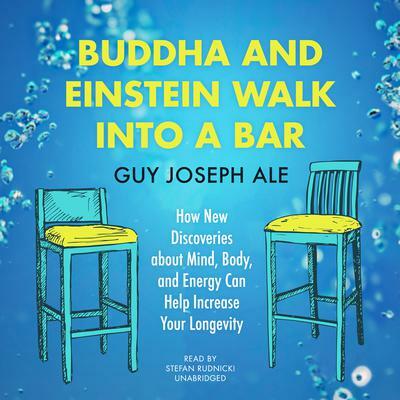 Buddha and Einstein Walk into a Bar explores the revolutionary idea that sensing how long we can live is a latent capacity in us, currently unknown—just like the introduction of fire, the invention of flying, and the discovery of radio waves were before we “discovered” them. Understand how the knowledge of transcendence, consciousness, and self-healing are integral to your well-being. active lifestyle―stay vibrant through your entire life. Guy Joseph Ale is the founding president of Lifespan Seminar and vice president of Asia Pacific Association of Psychology. Ale is an internationally renowned pioneer in the field of human lifespan. Since 1992, his primary research has been the scientific, spiritual, behavioral, and evolutionary aspects of the awareness that we can sense how long we can live and the practical applications of this insight in daily circumstances. Ale received the Eminent in Psychological Science Award at the International Conference on Psychology 2011 “in recognition of invaluable contributions in the field of human lifespan.” Ale lectures and conducts workshops in the United States, Europe, and Asia. He is based in Los Angeles, California.